For over sixty years, English writer Flora Thompson (18761947) has been celebrated as the author of Lark Rise to Candleford (1945), a rural trilogy that is considered a minor classic among writings about the English countryside. Challenging the assumption that the trilogy is Thompson's only significant work, this book examines the whole of Thompson's oeuvre, including the poetry, short fiction and essays that she published in women's periodicals before World War II, her book of poetry, Bog Myrtle and Peat (1921) and two posthumously published works, Still Glides the Stream (1948) and Heatherley (1979). In addition to reassessing Thompson's significance as a twentieth-century woman writer, this study explores the connections between Lark Rise to Candleford and the author's early work, questioning its current classification as a work of autobiography and arguing for a more nuanced, literary interpretation of this rural classic. Existing scholarly studies of Thompson have focused on Lark Rise (1939), the first book of the trilogy, while neglecting the equally significant Over to Candleford (1941) and Candleford Green (1943). Thompson's freelance writing for women's periodicals and the posthumously published Heatherley and Still Glides the Stream have never been studied, preventing a true estimation of Thompson's career as a working writer. The perception that she was an oppressed, working-class woman has also led to inaccurate assumptions about her education, writing career and literary sophistication. 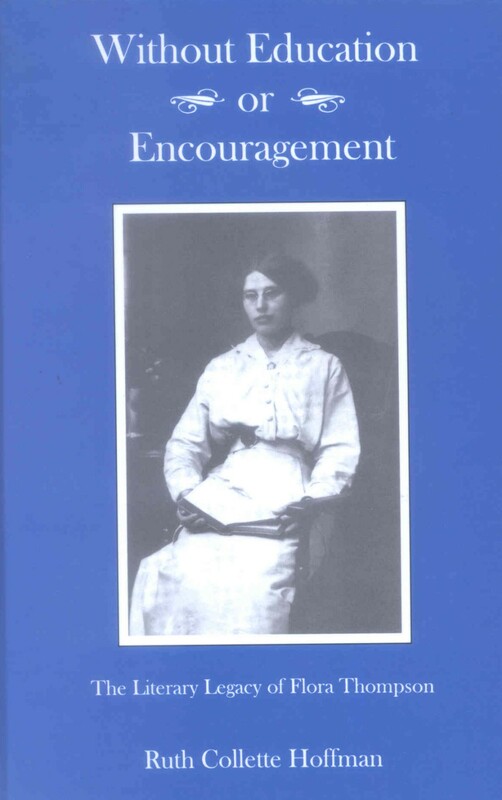 Thompson was an ambitious autodidact who, despite the limitations of her formal education and social class, began publishing her work as early as 1912. The Peverel Papers, a nature series that she published in the Catholic Fireside during the 1920s, not only disproves the theory that Thompson was an unsophisticated hack before she penned her popular trilogy but also emerges, with Heatherley and Still Glides the Stream, as a significant work in the author's oeuvre. This book is based on published editions of Thompson's work and on copies of the poetry, short stories and essays she published in the Lady's Companion, the Catholic Fireside and the Literary Monthly that were obtained during research trips to the Harry Ransom Center (HRC) and the British Library Newspapers collection. Also consulted were unpublished manuscripts and letters exchanged between Thompson and various correspondents, some of which are housed at the HRC, while some remain in private collections in the UK. Ruth Collette Hoffman teaches English composition and literature at the College of DuPage, Illinois.